At the Law Offices of Michael H. Schreiber, L.L.C., in Linwood, New Jersey, we provide effective legal guidance in the areas of criminal defense, family law, wills and estates, and personal injury. Our mission is to stand up for those who cannot stand up for themselves. We are committed to promoting and protecting the well-being of each person we work with. 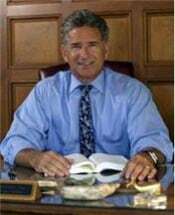 Experience: Attorney Michael Schreiber has 32 years of legal experience serving private clients and clients assigned to him by the state. By handling the most complicated and complex cases, he keeps his practice on the cutting edge — especially in criminal defense. Honesty: No one benefits from unrealistic expectations, which is why we give our clients honest assessments of their options and what they can expect from their cases. Protection: Mr. Schreiber was awarded the Carnegie Medal for his involvement in saving a person's life — someone he didn't know. His instincts to protect extend beyond his personal life and into his professional life. He will be in your corner fighting for you every step of the way. Record of success: Mr. Schreiber has a reputation for being a knowledgeable attorney who aggressively pursues his clients' best interests. As an example, he has taken seven murder cases to trial and never lost. You can rest assured that he will pursue the best possible results for you. To schedule a time to speak with us about your legal issue, please call our office at 609-365-7627 or 609-365-1199. We speak Portuguese.